Finding Outer Banks Seashells is mostly about timing and being first to the shell patch, what we refer to as “First Rake.” Shells will wash up at all times of the day, however, there are some more likely times and conditions to be mindful of which can increase the chance of bringing home a gem! We caught Mike, one of the Live Swell Hosts and an active shell hunter for 30+ years , provide some insights, in the video below, that are applicable in most seaside areas with seashells. One of the best times are typically in the early AM right at or before sunrise is best in the morning. because you have a better chance of being first and beating the other shell seekers to the spots). Another, likely time when shells are likely to be found has to do with weather conditions and storm activity. Perfect beaches for shells collectors are Koh Samui beaches, with such a variety of these gorgeous nature beauties. Reserve on time excellent accommodation on the island and let the adventure begin! Large shells, like whelks, are not hard to spot, often they look like a seagull sitting on the beach, totally still. Smaller shells, like “Baby’s Ears,” traditional scallop shells, and seaglass may require a bit more of finer comb in the patch. *Tip: Due to the landscape of the OBX barrier islands, our beaches “face” various directions, this is a good thing. Prime shells hunting conditions, with an offshore wind, can be found with both a “west or southwest” wind (Kill Devil Hills, Kitty Hawk, Nags Head) and a “north” wind (south of Cape Hatteras, “Frisco” area). Shhh! We only let our guests know. 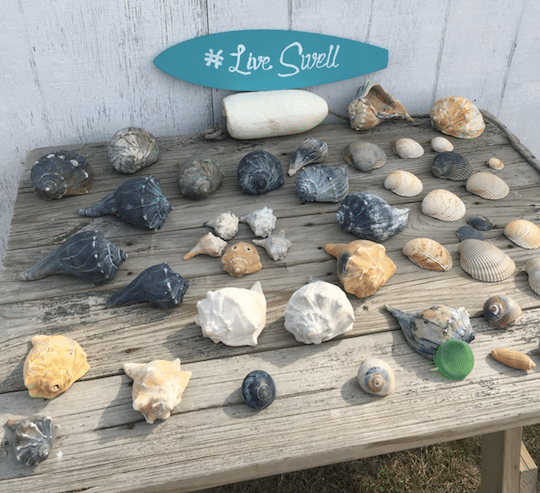 Shells like to collect in areas with structures like, Avalon Pier, Outflow Pipes – like those by the Ramada Hotel, Hayman Beach Access, just outside the our Magical Bungalow OBX. Tip: Check seaweed patches to as they can hide as they get caught up in there. Also watch for a “tumbling” effect for large shells still in toiling in the ocean wash.
Billy Mitchell Airport (Frisco, North Carolina) – Cape Hatteras National Seashore Off Road Vehicle Entrance: Most variety is found here, due to the Gulf Stream current, including tropical shells, like Scotch Bonnets, coral and the very rare “helmet shell.” There is parking near the campground to walk, but during the right times of year worth the ORV drive pass and an experience you are likely not to forget. 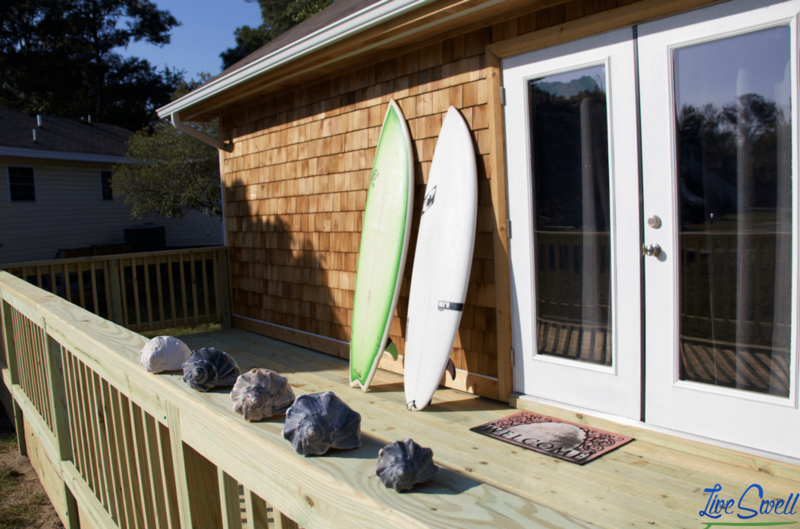 *On a “West” wind just out front of the “Cape Hatteras Motel” is a great spot too.